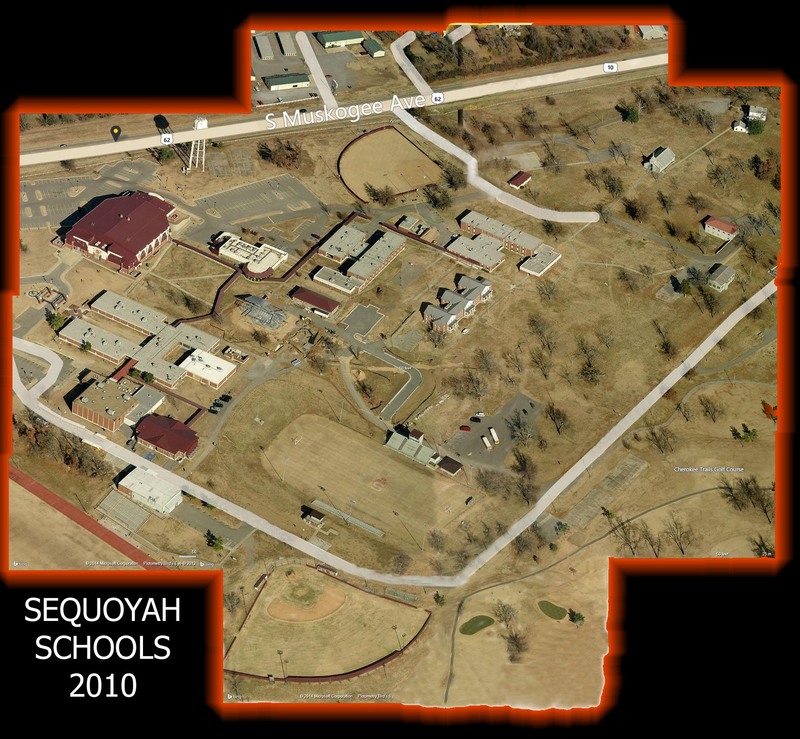 OFFICIAL Sequoyah Alumni Association of Tahlequah, Okla. The 2019 reunion begins on Friday afternoon, May 3rd . . .
TAHLEQUAH, OK - Dr. Lowell Lehman, Phd (Child of Seq. Teacher L.L. Lehman 1947-1962) , 86, died Wed. Apr 10, 2019. MEMORIAL SERVICE: 3 PM Sunday. Apr. 28th ~ NSU Jazz Lab ~ Tahlequah. TAHLEQUAH, OK - Henry Carey Sr (Seq. Employee 1987-0990) , 90, died Tues. Apr 16, 2019. SERVICES: 2 PM Tues. Apr. 23rd ~ Green Country Chapel. If you have a Facebook account, all you have to do is search for "Sequoyah Indians Alumni". We are a closed group so you have to request to join or can be added by me or another alumni that is already a member of our group. You can post anything that has to do with Sequoyah. Sports, academics, reunions, pictures and yes, death/funerals. I have posted pictures of past reunions that I have attended. Classmates.com has the 1970 & 1972 Sequoyah yearbooks on-line. 1970 Yearbook . . 1972 Yearbook . . There are two FOR SALE on E-Bay . .
or the "+" and "-" buttons. Move around using your arrow keys. Click on the arrow/image to learn how to move. Move left/right & in/out using your arrow keys. Who are Sequoyah ALUMNI ? YOU ARE AN ALUMNI ! you are WELCOME at any of our Seq. Alum. Assoc. activities. For recent articles . . .
Reunions, Campus and Misc. Pages . . .
Our 2018 Guestbook . . .